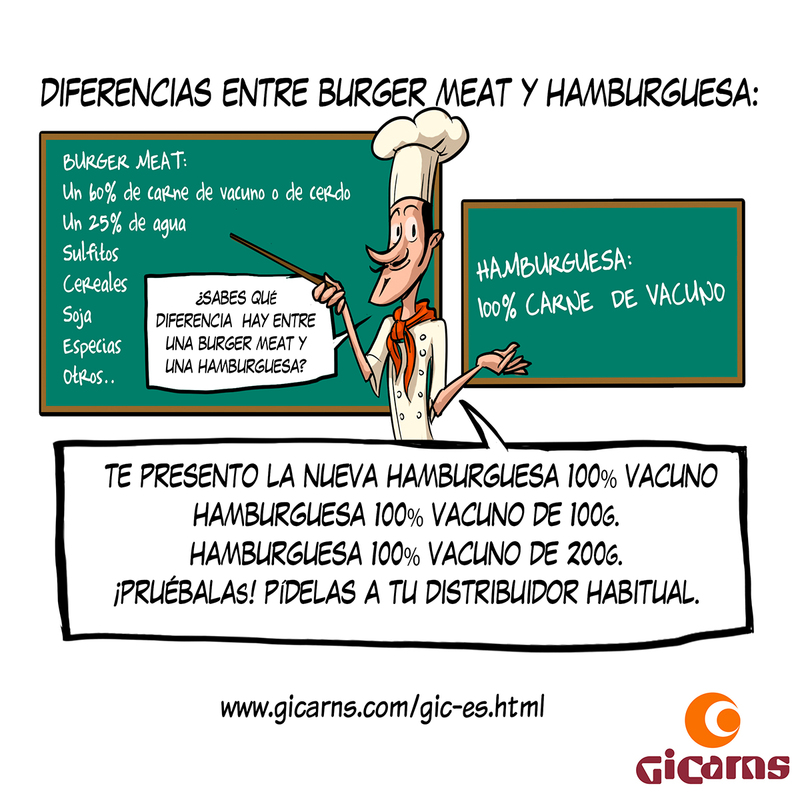 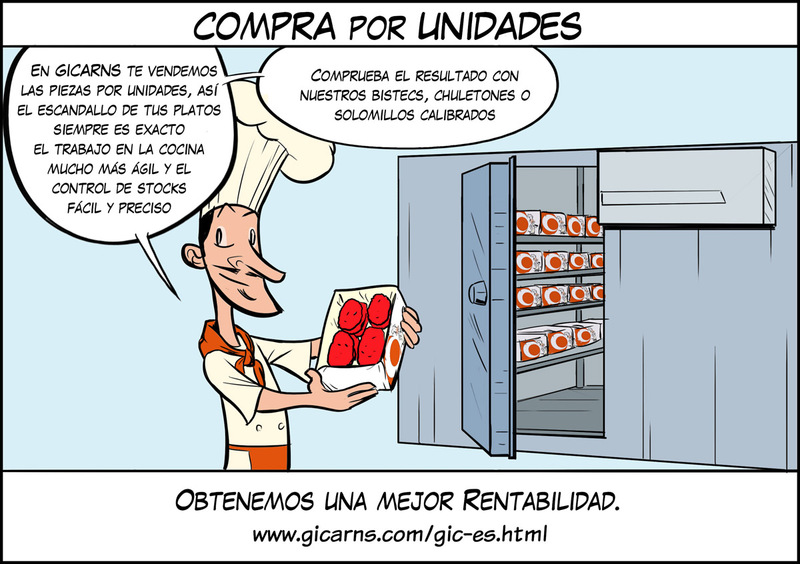 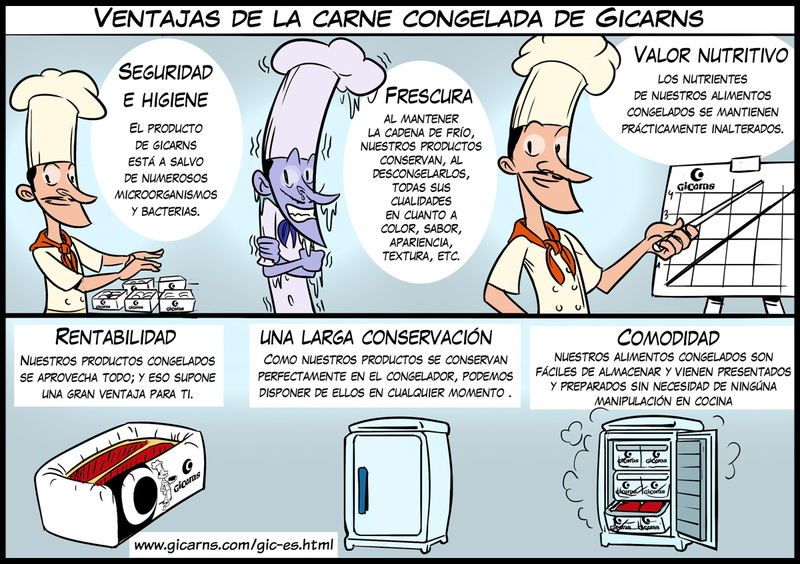 Gicarns, frozen meat products for hotels and restaurants. 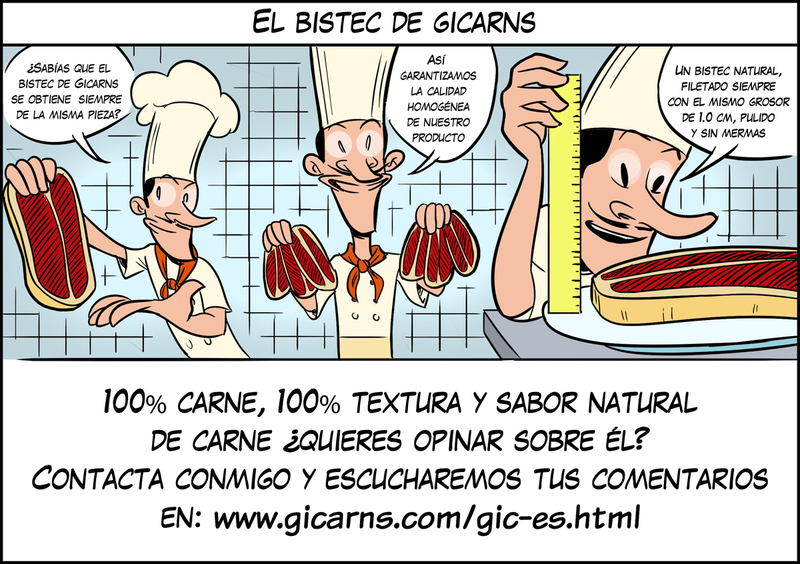 Welcome to our direct communication channel between professional chefs and us. 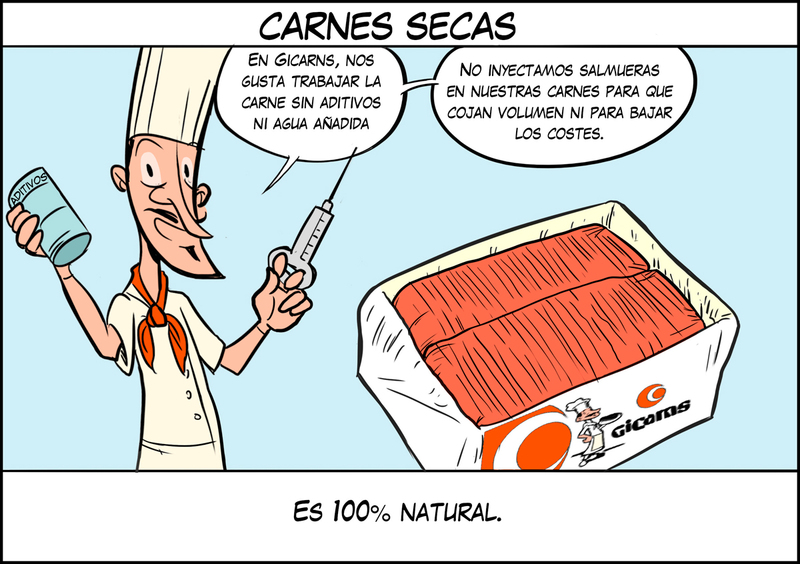 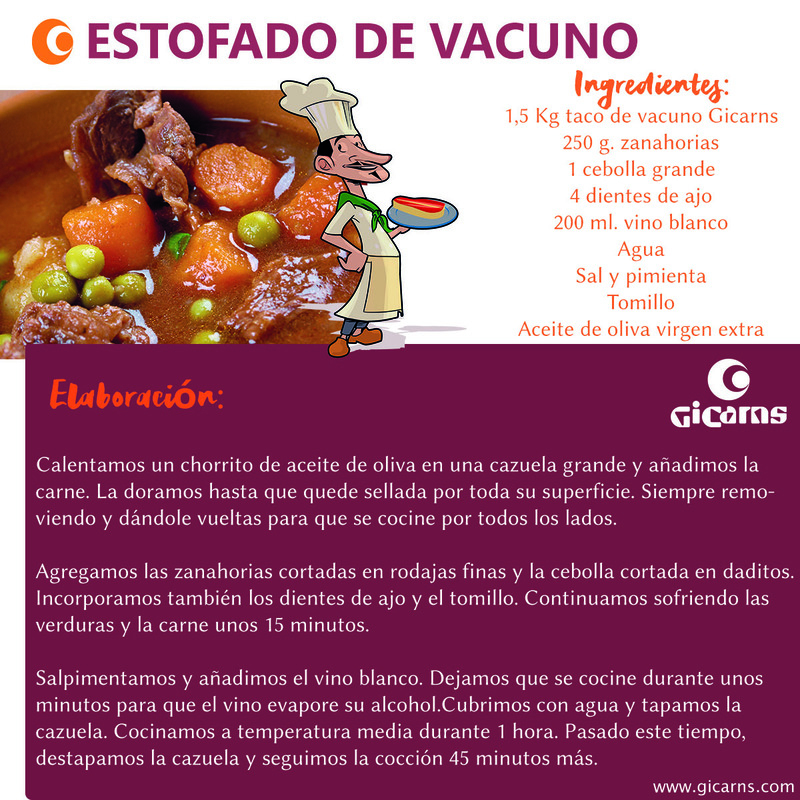 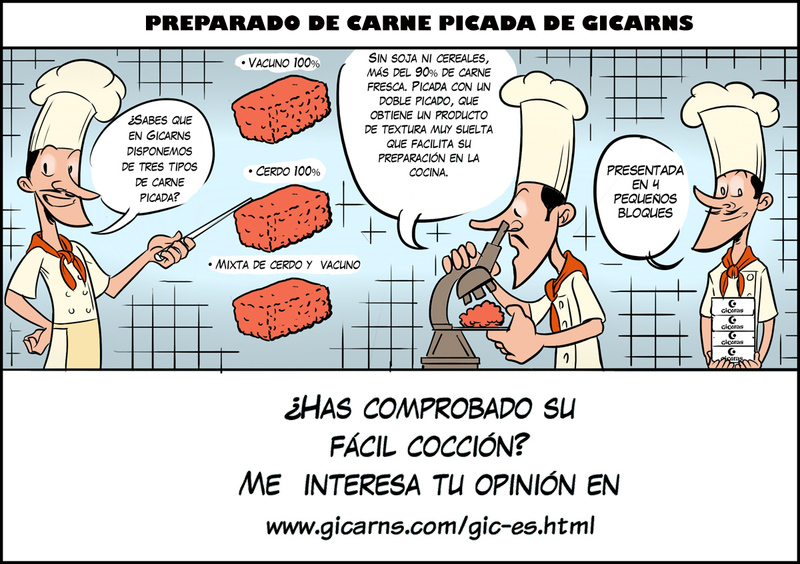 In this section, we will inform you about Gicarns products processes and qualities. 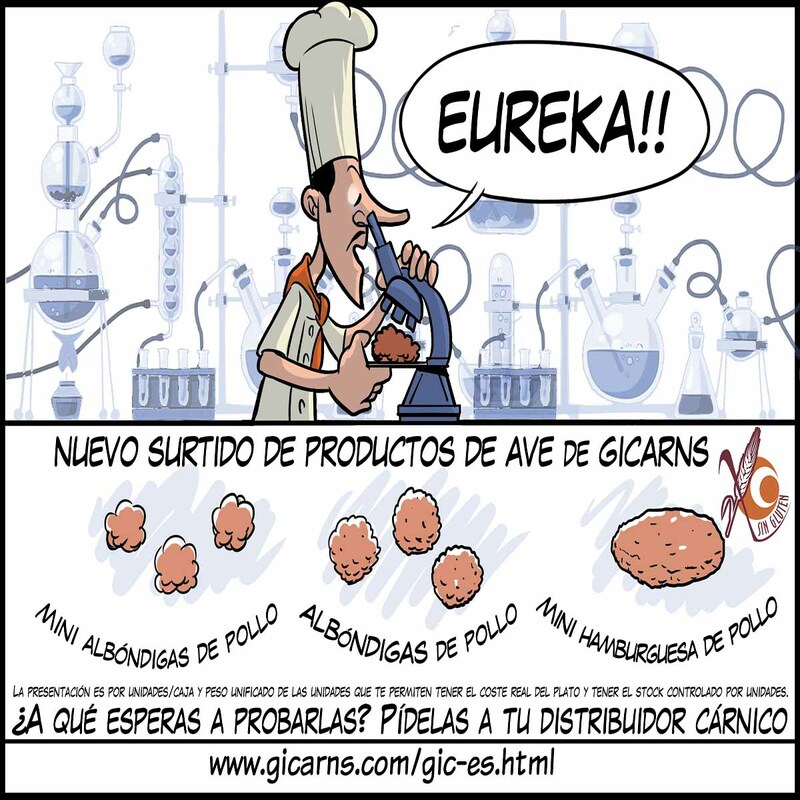 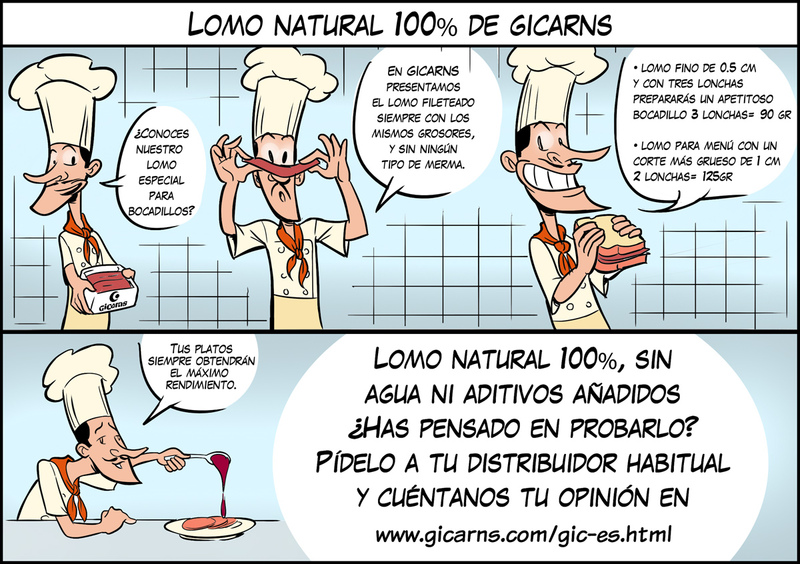 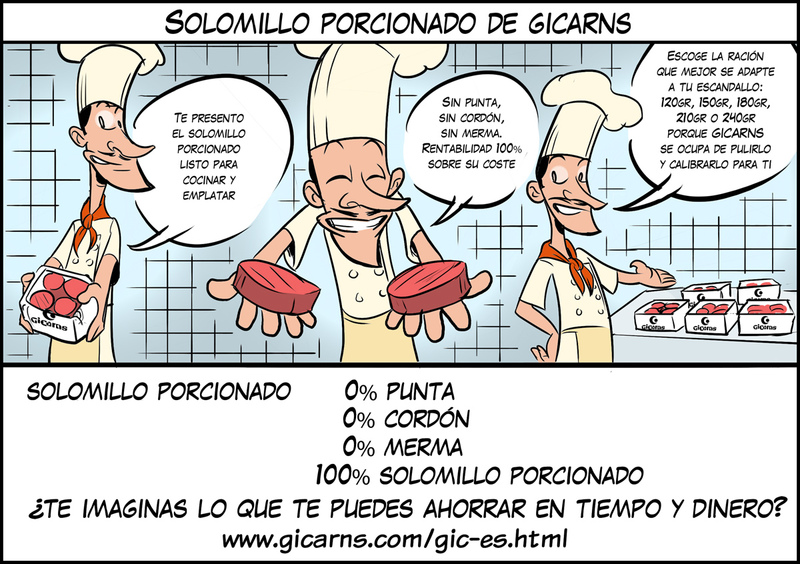 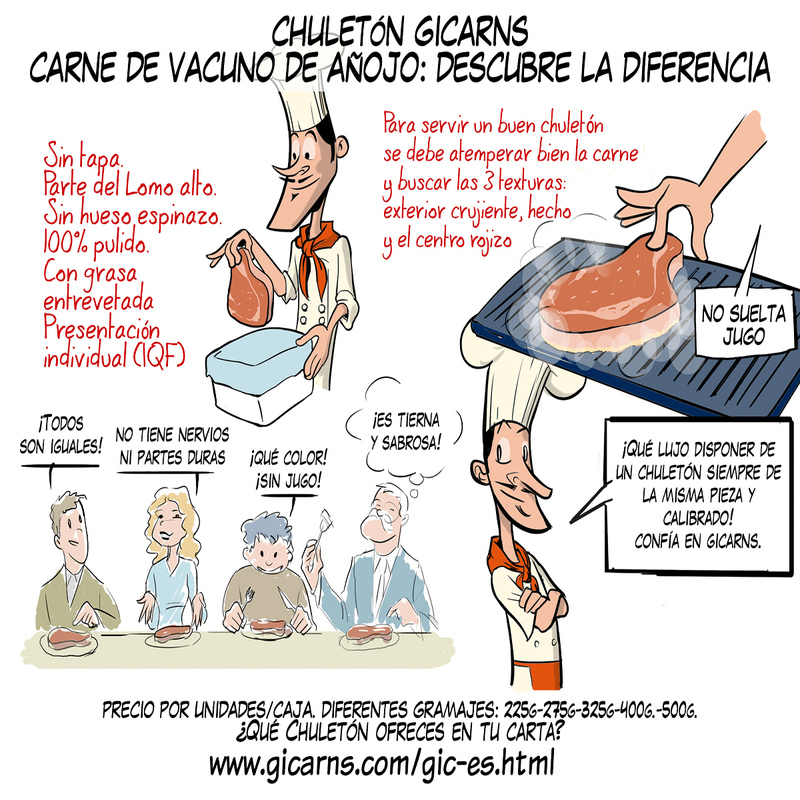 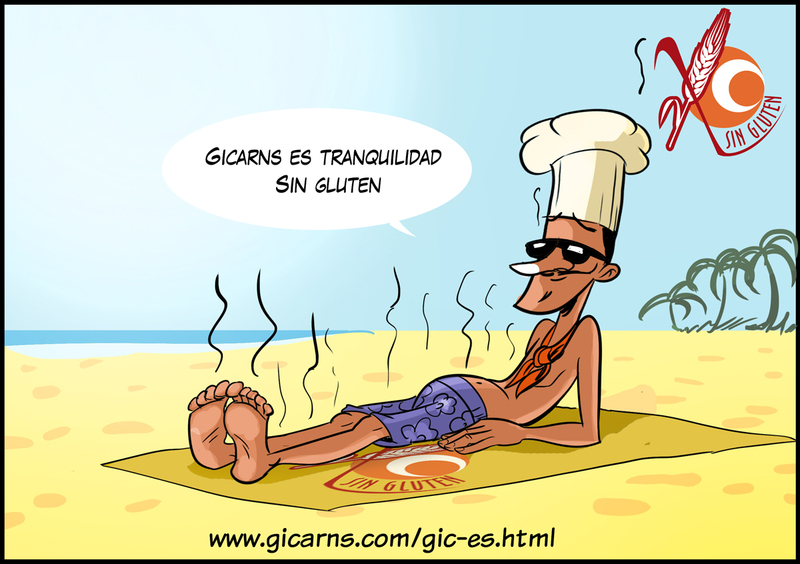 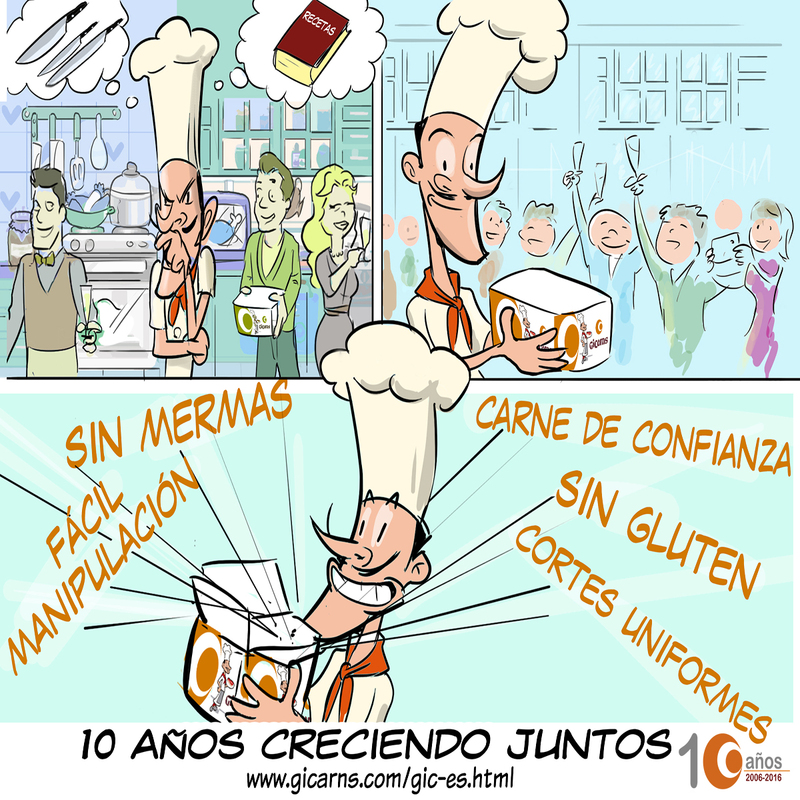 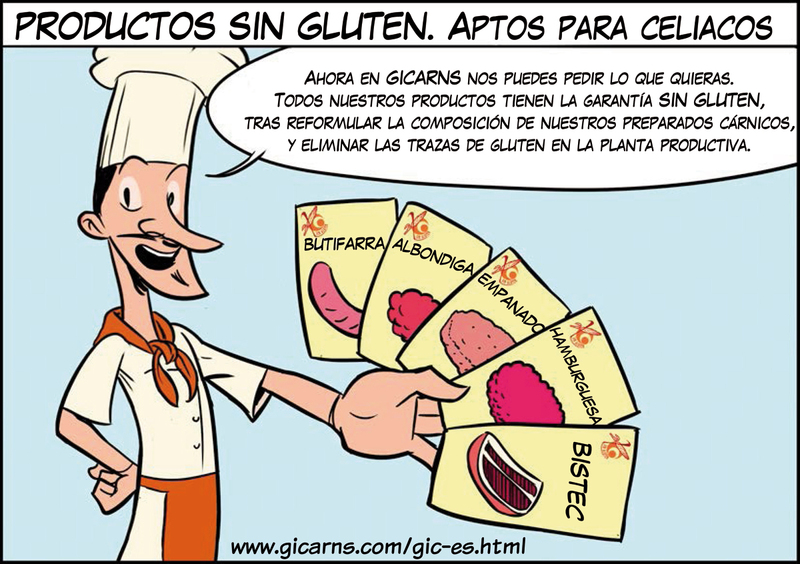 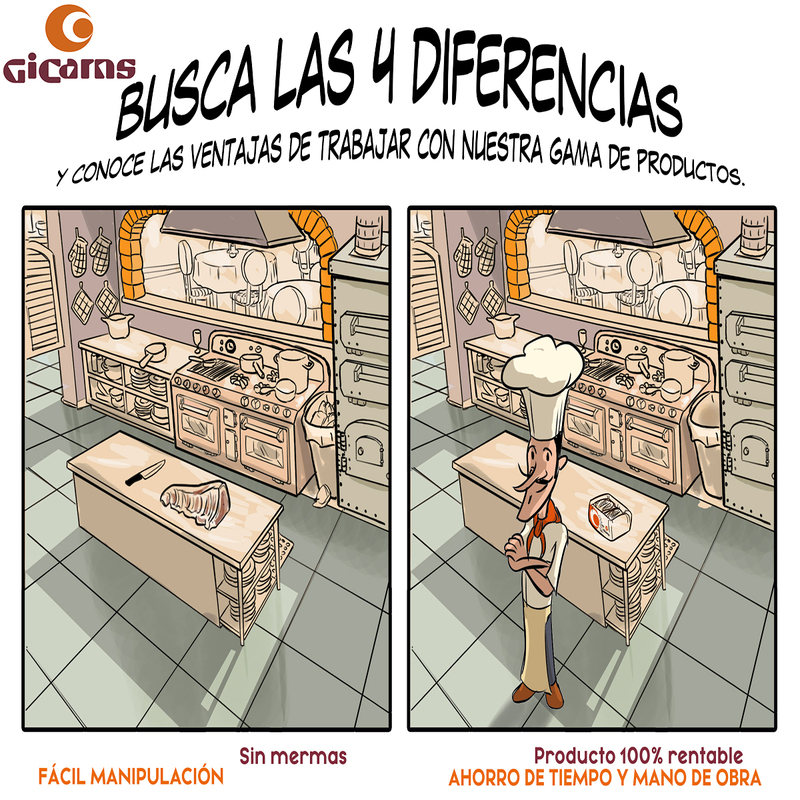 We have created our chef cartoon, called GIC. 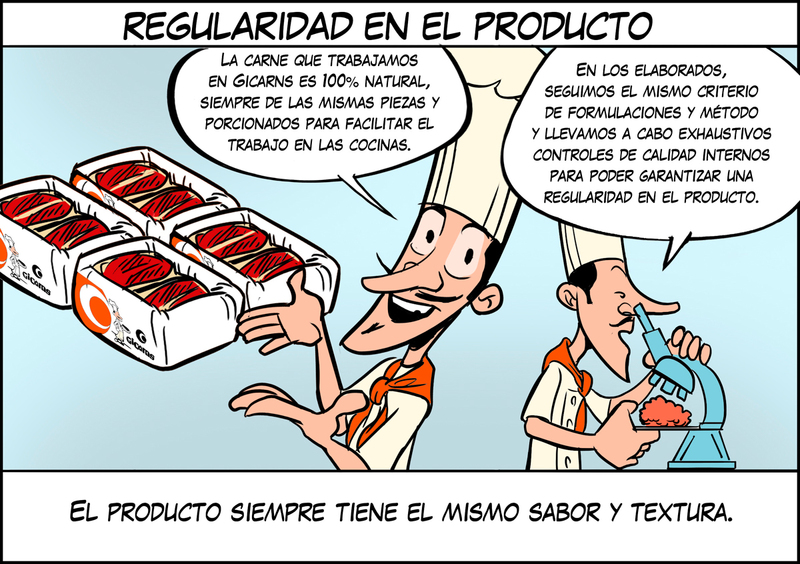 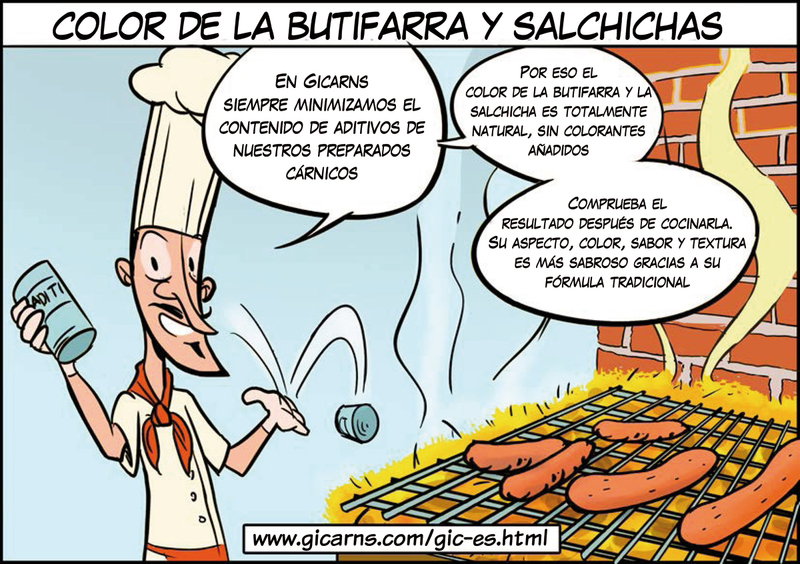 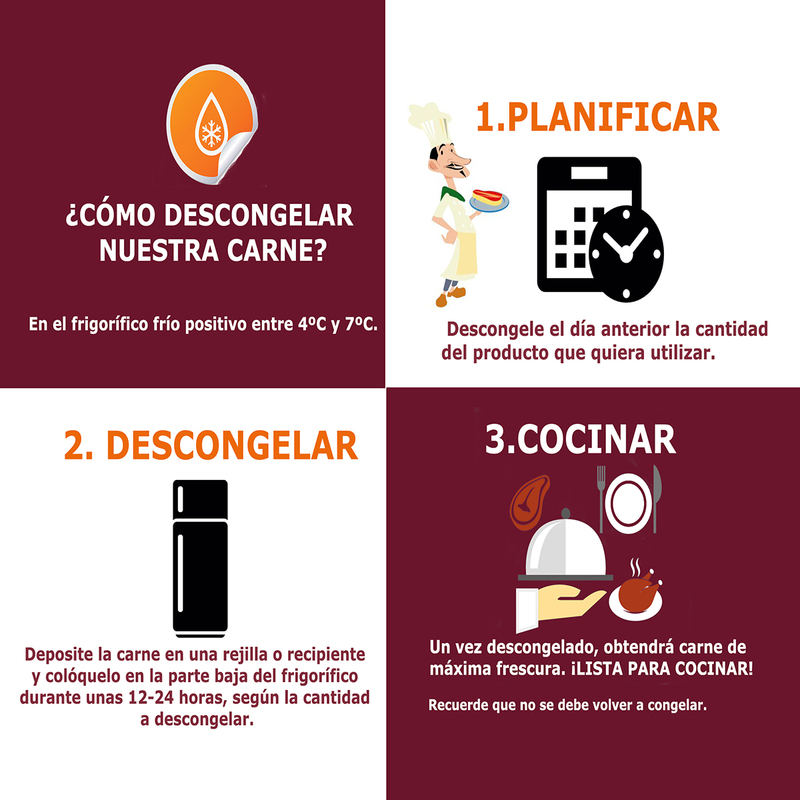 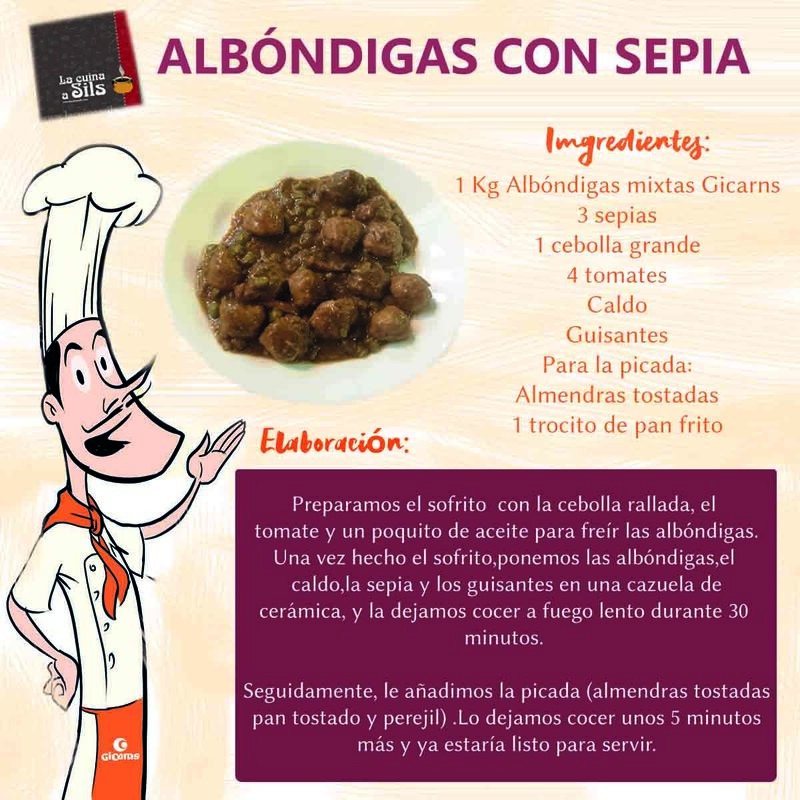 Through his adventures he will show you advantages and advices of our products, like the best way to cook them. 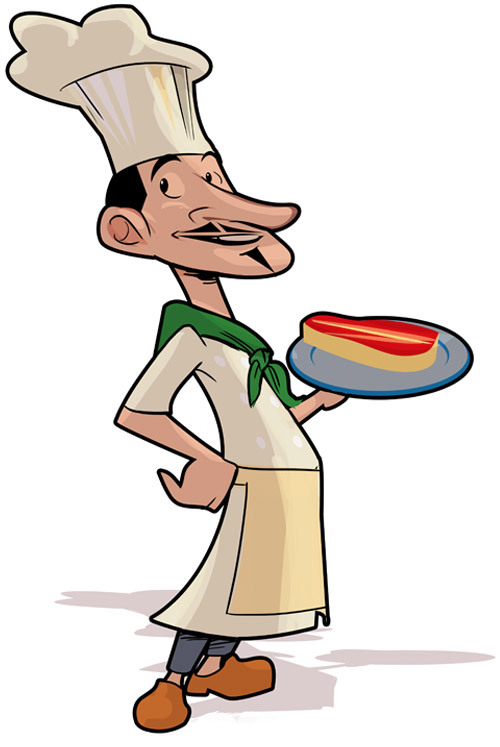 You would be able to send us your doubts or suggestions that we would sent to our quality department. 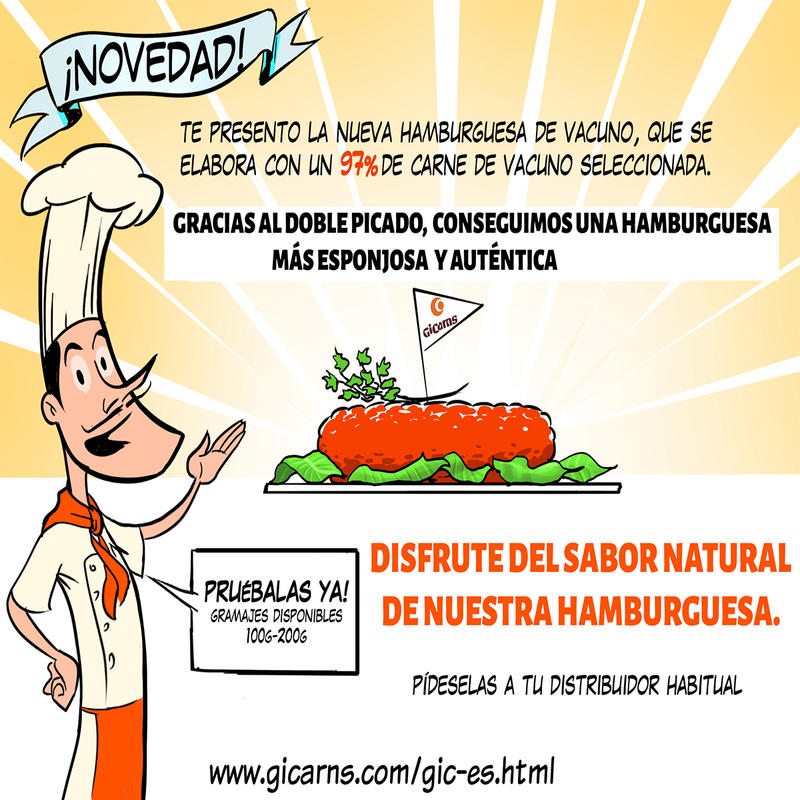 Join our professional community; we will be pleased to meet you.